A recent LA Times article declaring that at least “9.5 million previously uninsured people have gotten health insurance since Obamacare started” has received criticism from political blogs/websites that have been critical of the healthcare plan. 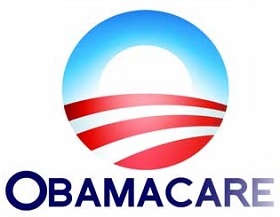 Taken all together, at least 9.5 million enrollees were previously uninsured. Sources who are critical of the Affordable Care Act respond by citing only the number of sign ups through the health insurance marketplace/exchanges in order to argue that the number are lower than this . Even worse, some only cite sign ups on HealthCare.gov, ignoring the fact that some states have their own exchanges (for example, Covered CA in California, and NY State of Health in New York). The debate over “Obamacare’s” effectiveness continues to be muddled by semantics. Sometimes critics equate it with the entire Affordable Care Act. Others appear to think that Obamacare is synonymous with the new exchanges, or even just HealthCare.gov. Others appear to believe that Obamacare is a specific healthcare plan (hence, rhetorical questions like “If Obamacare is good, why doesn’t Nancy Pelosi sign up! ?”).